Need a Team Mom Award? 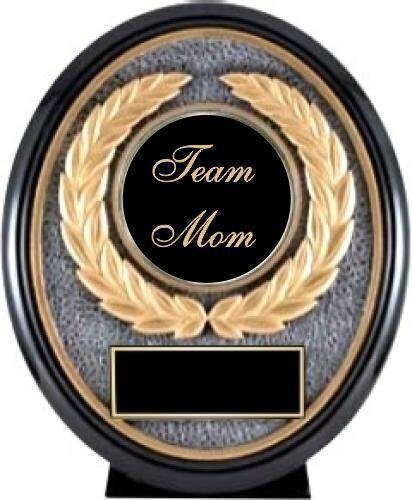 We have a variety of team mom plaques and trophies to choose from. Also consider giving a functional team mom gift. FREE shipping is available on orders over $100. 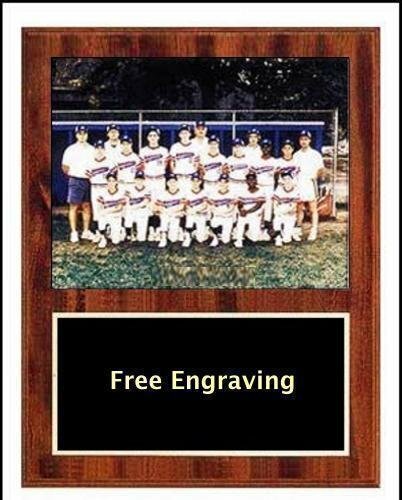 FREE Engraving. This cherry finished pop-in photo plaque includes a protective plexiglass cover that pops in. The 9x11 plaque has a 5x7 area that is routed out to fit the photo. Assembly is easy. Insert the photo, remove the protective covers from the plexiglass, clean the plexiglass, bend slightly and insert into the groves on the left and right of the photo. 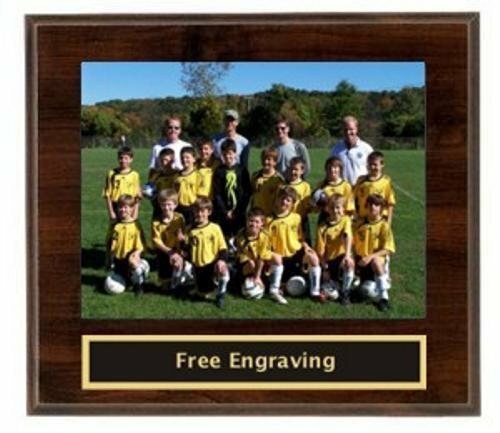 An engraved black brass plate with gold engraving is included.This team plaque makes a great coach gift or sponsor plaque. This cherry finished Pop-In Photo Plaque Small includes a protective plexiglass cover that pops in. The 9x8 plaque has a 5x7 area that is routed out to fit the photo. Assembly is easy. Insert the photo, remove the protective covers from the plexiglass, clean the plexiglass, bend slightly and insert into the groves on the left and right of the photo. An engraved black brass plate with gold engraving is included. 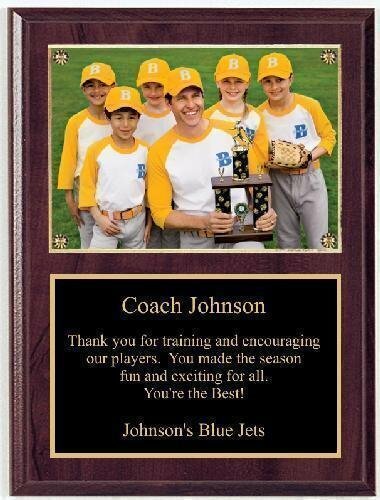 This team plaque makes a great coach gift or sponsor plaque. The Ebony Team Mom Trophy has aan enbraved black brass insert with "Team Mom" engraved. The smaller version is pictured here. The larger victory ebony award has an additional gold ring around the black brass insert. It comes with a black brass engraved plate and gold letters for your personalization. This Team Mom Bobblehead resin award is arguably the most adorable bobble head on the market. It comes with a brushed gold laser engraved plate.